Rarely available in one of Gramercy Park’s premiere, Pre-World War I buildings, One Lexington Avenue, this mint condition 3-4 Bedroom Duplex Apartment with magnificent southern views of Gramercy Park was renovated and designed by renowned architect Annabelle Selldorf. 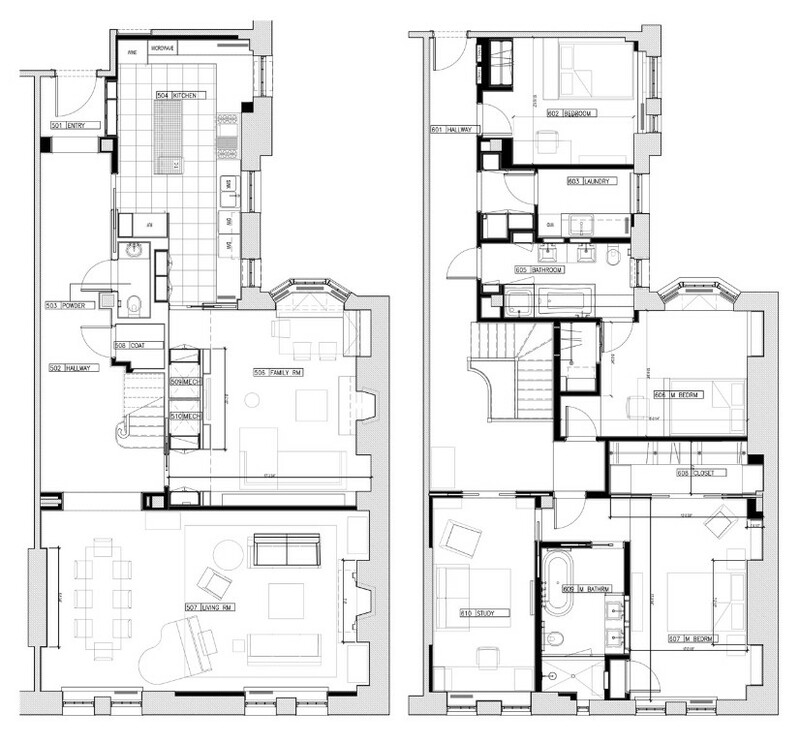 This sophisticated residence, which is just under 3000 sqft (approx.) with 9.5’ ceiling heights throughout is a classic apartment with lovely modern appointments. Enter through the grand gallery into the dramatic living room/dining room that has exquisite light and park views from 4 oversized windows facing Gramercy Park and a WBF. The formal dining room/library has its own WBF, a surround sound home theater system & a large classic bay window. The chic half bath has marble wall covering and honed black granite floor and sink surround. The meticulously designed Eat-In-Chef’s Kitchen with a distinctive wall of windows has a Viking double oven/stove/griddle, 2 Viking dishwashers, a glass doored Subzero refrigerator/freezer, full-size glass doored Viking wine refrigerator, built in microwave/convection oven and built in tv/computer flat screen monitor. The kitchen cabinets are custom, with a stainless-steel Island and trash compactor. The countertops and backsplash are of Cipollino marble. The top floor has 3/4 bedrooms, 2 full renovated bathrooms (could be 3) and a windowed laundry room/staff room. The beautiful master suite with all rooms facing south on to Gramercy Park include a large master bedroom, separate sitting room/bedroom and en-suite windowed bath with a glass steam shower, double vanity, deep soaking tub & heated flooring. Two additional bedrooms share a large second bathroom with 2 side by side sinks, a shower & a tub with white quartz finishes. A laundry room, which can also become a staff room with bath, complete this gorgeous duplex home. The apartment has a Crestron sound system, quarter sawn wide plank white oak floors, 4-zone central air and all new windows, doors, pocket doors and fixtures throughout. This intimate Pre-War, full service building comes with a coveted “Key to the Park”, a Storage Unit & Bicycle Room. This extraordinary & stunning renovated home should not be missed.